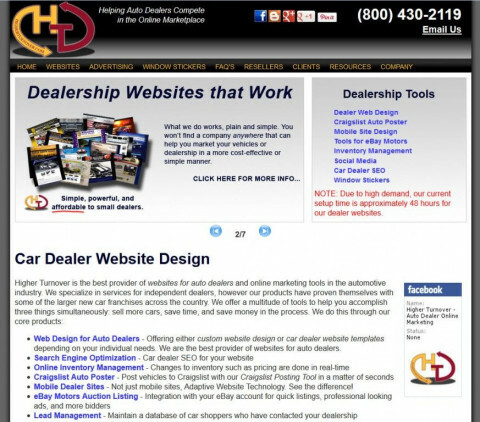 Web design firm servicing auto dealers nationwide. Higher Turnover specializes in assisting the independent dealers of the automotive industry and is capable of developing high quality, low cost websites for any size dealer. Products include Craigslist auto-poster, real-time inventory management system, lead management, and automatic inventory updates for a truly hands-off approach for the dealer. Free consultation and quote with no commitment, simple pricing structure, and no contract required.